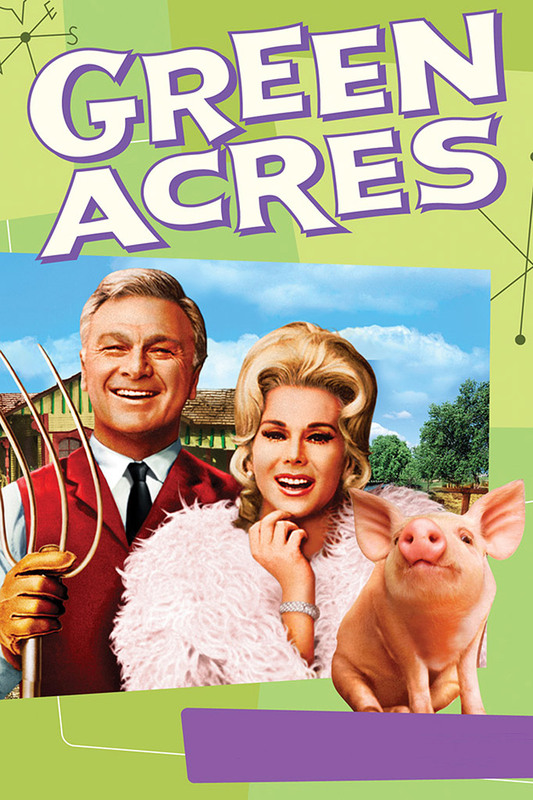 When it comes to classic TV, "Green Acres" is the place to be! Eddie Albert stars as Oliver Wendell Douglas, the esteemed attorney who trades the rat race of Times Square for farm livin' and fresh air. In turn, his elegant Park Avenue wife Lisa (Eva Gabor) must give up Manhattan's fashion stores for Hooterville's barn chores all in the name of love! Together they bring a hilarious touch of class to America's most lovable country comedy. So say goodbye to city life, and hello to the simple life "Green Acres," we are there!